Salem Holland Ford was born on September 24, 1835 in Shelby County, KY. He was the son of John Ford and Sarah Berry Ford. Salem Ford was mustered into service with Missouri state troops in May 1861, serving in the infantry at the Battle of Wilson’s Creek, May 1861, and at the Battle of Pea Ridge (Elk Horn), March 1862, two of over 100 battles in which he participated. In 1862 he went to Missouri to recruit a company for General Joseph (Jo) Orville Shelby’s Brigade of Cavalry, in which he became orderly sergeant and later captain in command of the company. He campaigned in Missouri and Arkansas, participating among other engagements in the 1863 Cape Girardeau Expedition. Ford describes in detail the capture of a Federal gunboat at Clarendon, AR, on the White River. His reminiscences contain descriptions of incidents of brutality and mistaken and confused identities due to lack of uniform dress which characterized the irregular warfare conducted in this theater of the Civil War. At the War’s end he started with Shelby to Mexico to avoid surrendering but as head of the men who preferred to return to their families, about one-half of Shelby’s force, he surrendered in Shreveport, Louisiana, on June 15, 1865. The DCPL owns a copy of his memoir Reminiscenes of S.H. Ford, Captain of Company F 2nd Reg. General Joseph O. Shelby’s Brigade of Missouri Confederate Cavalry 1861-1865. March 8, 1909. Ford moved from Louisville to Owensboro after the Civil War. He was one of the organizers of the Owensboro Wagon Factory, and acted as secretary and treasurer for several years. He served as deputy internal revenue collector under Hunter Wood and was postmaster during President Cleveland’s last term. He was a pioneer in the local order of the Knights Templar and was second oldest past master of the Owensboro lodge. He was a pharmacist and was a speaker at the annual Kentucky Pharmaceutical Association. In 1879 Ford organized the Monarch Rifles, a private military company in Daviess County that was formed under state law. He was elected captain, and for the next decade he helped build the organization into one of the best-trained local militias. He played an active role in establishing Owensboro’s veteran camps and by 1900 was on General Poyntz’s staff of the Kentucky United Confederate Veteran Organization. 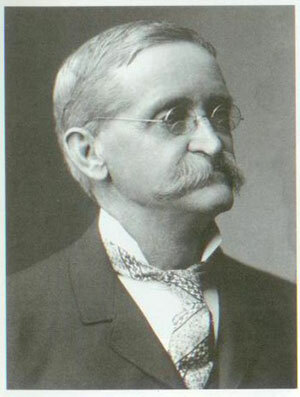 The Kentucky Confederate Home board of directors chose Salem H. Ford as its first superintendent. The Kentucky Confederate Home was located in Pee Wee Valley, near Louisville, and was opened in 1902. Salem was 68 years old. He had to completely renovate the old hotel and later was in charge of the day-to-day operations. He resigned his position in March 1903. Salem H. Ford died on February 19, 1915 in Owensboro, KY. He was 79 years old and buried at Elmwood Cemetery.